Christi Curran of N’Chic Home Staging & ReDesign, a Staging Diva Graduate serving the State of Texas (Houston, The Woodlands, Spring, Tomball, Cypress, Katy, Sugar Land, Clear Lake, Galveston and Southeast Texas), is renewing her Directory listing for the 3rd year. Lori Grobis of Transformations Home Staging & Design a Staging Diva Graduate serving the State of Wisconsin (Appleton, The Fox Valley, Neenah, Menasha, Kaukauna, Little Chute, Kimberly, Darboy, Green Bay and Northeast Wisconsin), is renewing her Directory listing for the 2nd year. Kay Keeton of Star Stager LLC, a Staging Diva Graduate serving the State of Texas (Arlington, Dallas, Fort Worth, Plano, Frisco, Highland Park, University Park, Grand Prairie, Southlake and Mansfield), is renewing her Directory listing for the 3rd year. Jenny Loos of JenJen’s Home Staging, a Staging Diva Graduate serving the State of Texas (The Colony, Little Elm, Frisco, Plano, Allen, Carrollton, McKinney and other North Dallas areas. ), is renewing her Directory listing for the 2nd year. Karen Totten of Karen’s Finishing Touches, a Staging Diva Graduate serving the Province of Ontario (Toronto, Markham, Richmond Hill, King City, Aurora, Newmarket, Barrie, Tillsonburg, Woodstock and London), is renewing her Directory listing for the 2nd year. 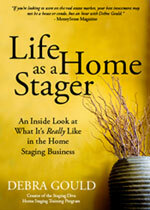 The sooner you join the Directory of Home Stagers, the higher up on the list you are for your location. If you’re first to join the Directory for your areas, your listing will always come out on top in a Directory search! All Profile Page listings and Mini Listings are 30% less when you join the Directory for a year. When you order, you pay the cost of building your page and you don’t have to pay for hosting for another 37 days! When you get a Profile Page, I even throw in a free company brochure, a $300 value, plus links to your social media profiles, an additional $75 value! All Directory members can pick up to 10 locations that they serve plus up to 4 states and provinces for their listing in the Staging Diva Directory of Home Stagers.